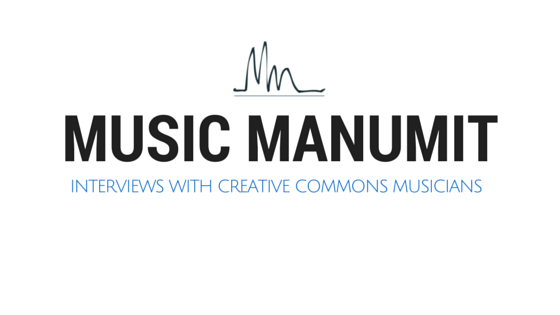 Music Manumit: Copyright: Week 12 & 13 - Be Thankful for Fair Use! Copyright: Week 12 & 13 - Be Thankful for Fair Use! You'll have to forgive me if this post is a little shorter and a little less full of links than usual (obviously, it is a little later than usual as well). For whatever reason, my laptop would not connect to the wireless at BWI in Baltimore. It's not a payment thing (though I wouldn't have paid). No, in this case, the laptop just wouldn't connect. More accurately, after a reboot, I just gave up and figured I'd start writing about fair use. Of course, much of this I wrote both before and after Thanksgiving, so it's not complete bereft of links! ISSUE FOR REBUTTAL/CRITIQUE: Negating a fair use claim should be an aspect of the prima facie case for infringement. Still with me? There's a great discussion of the affirmative defenses on William Patry's blog for anyone that I lost. Essentially, the way the system works now, a kid that does a YouTube remix of a Britney Spears song must have have his lawyer do a lot of fair use research (which of course means money). I think it would be better if Britney Spears (or more accurately, her label) was the one that had to pay for the analysis as part of their case in chief. The flip side is that this means that independent artists would also bear this burden. Let's assume for the sake of example that Ford Motors decides to use Lorenzo's Music's "Downtown" for an ad campaign about how their purported fuel efficient cars will get you from the country to "downtown" for less miles. Let's further assume that they do not attribute Lorenzo's Music or release their commercial under the CC BY-SA. In this case, it would be Lorenzo's Music that would need to make the prima facie showing. Thus, changing fair use to be a part of the plaintiff's case could embolden corporations to attempt to take advantage of musicians. That seems ridiculously farfetched to me. Any company that didn't have lawyers close enough to their marketing department before certainly got them there after the Virgin fiasco. Plus, the Ford hypothetical above is not a particularly hard case (though I should point out this is *just* a hypothetical. In real life there could be facts that suggest otherwise. See a lawyer!). While commercial nature of the fair use analysis is not dispositive, here Ford doesn't have much of a case. However, think of a closer case, like Pete's story of news organizations using his picture. "News reporting" is listed in the preamble to the four factors. Remember that attribution is not a right given by 106, so Pete is going to be talking about the reproduction and distribution rights. How can one use a picture of someone in a news article without, well, using a picture of someone? So, in this case, now Pete is the one that has to prove that the use by the news organization is not fair use. Ultimately though, how often do independent musicians really want to enforce the full terms of their license? Many Creative Commons musicians allow users to post music to YouTube despite the fact that YouTube only offers one Creative Commons license - Attribution (BY). Again, though Pete was using CC BY-NC-SA for his picture, all he really wanted was attribution. And, even under the current system, how many independent artists are taking potential infringers to court? Pete certainly didn't, despite the burden of proof being on his side. Since the burden of proof for fair use doesn't currently seem to do much of anything but stiffle creativity of independent projects, I think flipping the burden of proof would, at the very least, be a good experiment.If it turns out it harms artists, we can always change it back. Fear has already done a lot of damage to creative works. We shouldn't let even more fear stop us from attempting to rectify the situation. For any Canadians or others from Commonwealth nations, fair use is a little different than fair dealing. Back in August, Nick and I discussed some of these differences with Kent Mewhort of CC Canada. I'd be remiss if I didn't mention the interplay between the First Amendment and fair use. Is there a fair use argument for lyrics websites? I guess not. Rip. Mix. Make. Defend the Right to Remix.